In brief, I thought the best thing about the Met's Walküre was its phenomenal orchestra, and the worst its Picket Fence of Symbolism, as I am calling the set. Update: the Met has posted pictures; tellingly, most of them focus on the singers. The singing was thoroughly committed, and held many pleasant surprises. In the program was printed a "conversation with the director." Lepage was asked how he planned to engage the new dimensions of Walküre, after Rheingold. "Suddenly," said Lepage, "we deal with love and nature. Walküre is a piece where there are snowstorms, where there is lightning..." I had a sinking feeling. Lepage has often spoken of his fascination with the landscapes of Iceland, whence, of course, much of Wagner's source material hails. And so we got a Walküre obsessed with landscapes, rather than ideas. I grant, the forest for pursuer and pursued to weave through was effective, and yes, having the gods' conversations of Act II on top of a volcano can be an (unsubtle) metaphor for potentially explosive undercurrents. But I was not seeing a Walküre with landscape-as-metaphor. Lepage belabors the point of desired fidelity to the work. Failing to explore its layers and its ambiguities is, I would argue, a serious failing in this respect. I decided that, on Good Friday, Die Walküre would come under the heading of "all the vain things that charm me most." So I went to church. The paradoxes and mysteries of this liturgical season have had a great deal of music dedicated to them, and so I also went down to Immanuel Lutheran for a concert featuring J.S. Bach and Buxtehude. (One of the most valuable things I learned living in Germany was vigilance in looking out for free and cheap concerts of Bach and/or Buxtehude.) In addition to the church's choir, this evening of Good Friday music featured the contributions of early music group ARTEK, whose midday, midweek, midtown concerts I have often enjoyed. And I had a beautiful evening. ARTEK were impressive as ever, and the choir sang with passion and sensitivity to the music. For me, lover of both German baroque music, and the wonderful old German that goes with it, the selections were a treat. After "Halt, was du hast" by Johann Michael Bach came Buxtehude's "Jesu, meine Freude." My favorite movement of this is without a doubt the bass solo "Trotz dem alten Drachen." Obviously this is a great deal of fun to say, but it is also an inspiring text in a vigorous setting, here sung by Eric Edlund. ARTEK had a moment to shine with Johann Rosenmüller's "O Jesu süß." Buxtehude's beautiful "O clemens, o mitis" was given with a lovely interiority by Tiffany Rosenquist and members of ARTEK. The J.S. Bach "Jesu, meine Freude" (BWV 227, text here) was given last, wisely. See you on the other side of Easter, Gentle Readers. I wasn't planning on seeing Tosca again this season. But then, at the end of Saturday's radio broadcast of Wozzeck, they announced that, unfortunately, James Morris was ill, and would be replaced by Bryn Terfel as Scarpia in that night's performance. I couldn't resist. 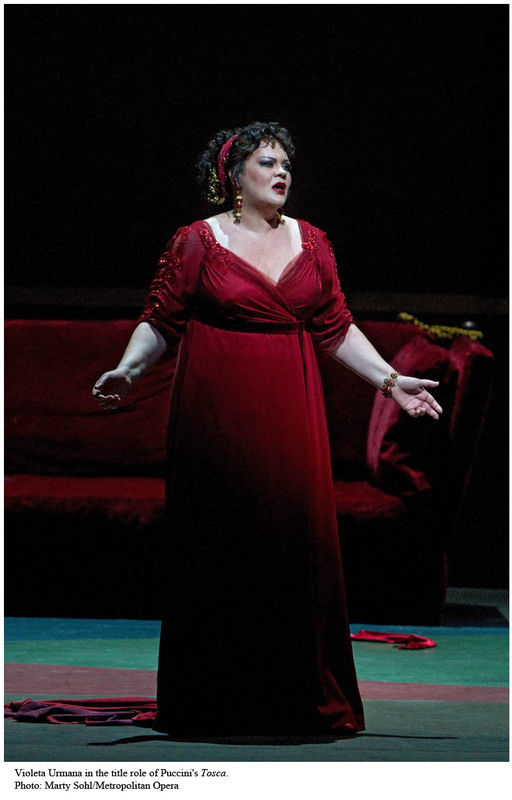 Having gone, I know that I would have been seriously missing out by not hearing Violeta Urmana's tigress of a Tosca. Licitra was robust, but it was the clash between Terfel and Urmana that gave the evening its energy, for me; the orchestra contributed beauty and drama. 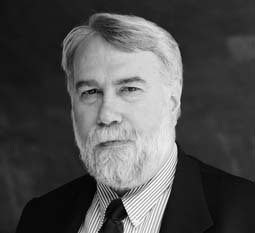 A varied and exciting program at Zankel Hall served as my introduction to American composer Christopher Rouse. A look at his website, with lists of awards, and ringing endorsements from Marin Alsop and John Adams, among others, had convinced me that I was missing out. I was delighted to discover his intelligent use of eclectic influences in four very different pieces. Rouse's passionate enthusiasm about music shone as clearly through the works themselves as through his charming conversations on stage. The audience--diverse, be it noted, in age and ethnicity--responded to the man and his music with eager appreciation. I could say that I was motivated to see Abbas Kiarostami's Certified Copy by a sense of guilt about only knowing the Iranian director's work second-hand, or by curiosity to see what sort of role had been made for William Shimell, and what the baritone would make of it. But, although both of these things would be partially true, they leave out the overwhelming, deciding factor that got me to the cinema, and that is that I have a massive celebrity crush on Juliette Binoche. In all the films I've seen her in, she has left me with an impression of inimitable elegance, and a sense of the emotional truth of the journey undergone by whatever character she portrays. Reviewers seem to drift towards describing the film as a bittersweet, thoughtful romantic comedy (using at least three of those four words; rearrangement optional.) I think it would be more accurate to call it a discussion of philosophy, aesthetics, communication theory, and socialized gender roles. For this, I believe, it certainly is, although it also remains determinedly enigmatic and ambivalent. Binoche and Shimell, with other characters drifting in and out of their narrative, discuss and debate life and art, while wandering through Tuscany. What's not to like? Le Comte Ory offers up a potent comedic cocktail of crazy disguises, games with gender, and mistaken identities (in bed!) If you're at all fond of Rossini, I imagine you have already succumbed to the charms of Juan Diego Florez, Joyce DiDonato, and Diana Damrau, who besides being stunning singers, are gorgeous and articulately charming people (it's just not fair, is it?) Here, they were at their most charming, and vocally excellent. 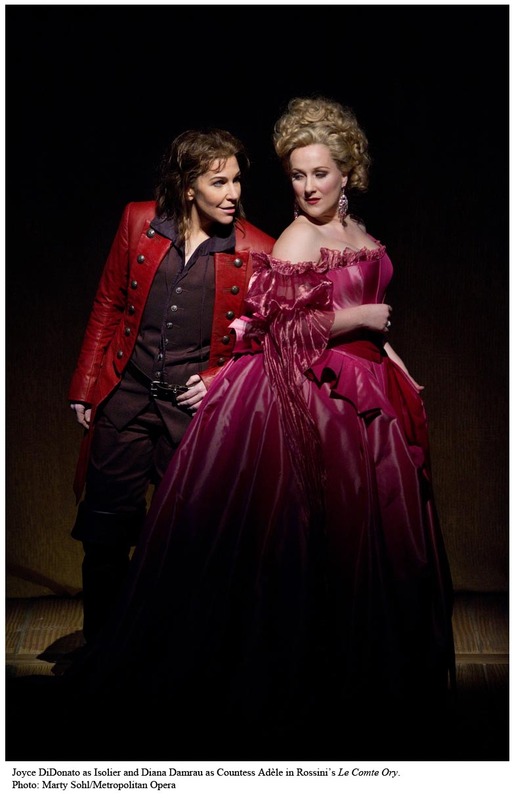 I was hoping for something more cerebral from the candy-colored production, but I found it nigh-impossible to retain resentment when offered Joyce DiDonato in pirate boots and coat. The theater frame was unobtrusive, adding a quirky raison d'etre for chandeliers and curtains, but not extra layers of narrative significance, and all of the costumes appeared to be from the eighteenth century instead of the story's medieval setting of origin. To Bartlett Sher's credit, there was a knowing quality brought to the hijinks (most notable in the person of Diana Damrau's radiant Countess Adele) which acknowledged--if it did not really explore--many of the issues of gender roles, societal expectations based on class, and the often uneasy nearness of sexual and spiritual passions. I laughed harder than I thought, but with singing of that quality, I would have had to try very hard not to enjoy myself. I'd been looking forward to the Met's Wozzeck for some time, but I didn't expect to love it. It was, of course, abysmally bleak. It was also brutally honest, surprisingly beautiful, and almost unbearably poignant: in short, one of the finest nights I've had at the opera this year, and perhaps ever. For a synopsis, go here. The tragedy was inevitable, and it had me on the edge of my seat. The singing and acting of all the principals was of an exceptionally high level, and James Levine led the orchestra in a reading of the score which I found coherent, detail-rich, and gorgeous. It was not aggressive; I overheard some muttering that it was, in fact, too beautiful a rendering. Well, not for me; I thought the subtleties were eloquent of despair. The Manhattan School of Music's senior opera showcase was, this year, devoted to eighteenth-century box office king Giovanni Paisiello's "Nina." Thither, accordingly, having found out about this via La Cieca's invaluable NY opera calendar, I went. There's a promotional video here for the Cecilia Bartoli headlined production from Zurich in 2002, which has totally enchanted me via YouTube (you may recognize the tenor as well.) There was another production at La Scala under Muti with Antonacci in the title role, but the work, while it may be 'rediscovered,' has a long way to go to repertory. 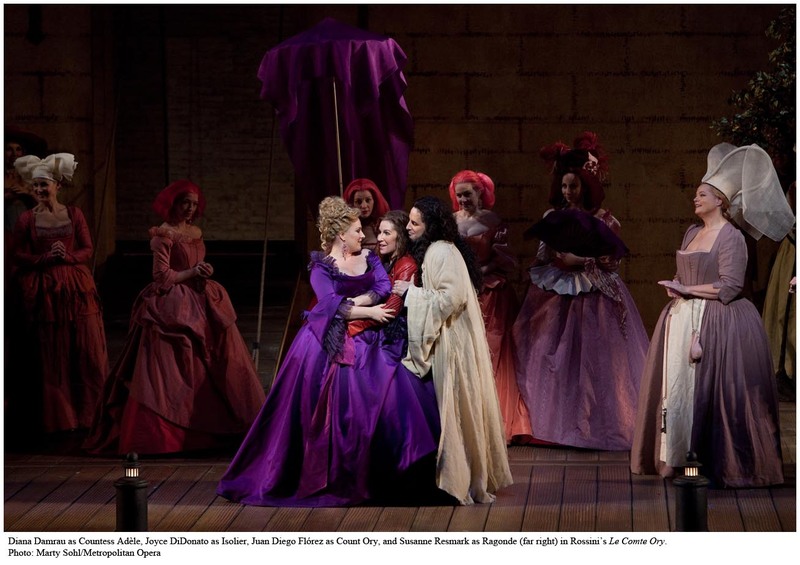 Zachary Woolfe has an article in the New York Times where he briefly outlines and considers Nina's relation to her mentally unstable sisters in the operatic repertory. Unfortunately unfamiliar with the music (I haven't managed to connect with that Bartoli DVD yet) I joined an audience of family, friends, and faculty (the latter including Catherine Malfitano, in a fabulous purple wrap) for an enjoyable foray into an opera which seems to deserve to be less of a rarity. Update: Greetings, deluge of readers looking for a Nina review! If you were involved with the performance, thanks again. Whoever you are, thanks for stopping by; I hope you enjoy. Although, like Mimi, I live on the top floor of a shabby building in an exciting city, I will have to wait some time for the first sun of April; New York is covered in a chilling mixture of rain and snow. But in an antic mood appropriate to April Fool's day, and in despite of the gruesome grayness of the weather, I thought I would share with you, Gentle Readers, some moments of sheer silliness from the operatic byways of YouTube. Few things are sillier than old-fashioned English translations of opera libretti. This fortunate interviewer had Nicolai Gedda (who seems to have stricter ideas about what constitutes a "cad" than the interviewer, disconcertingly,) Joan Sutherland, Tito Gobbi, and Mildred Miller gathered around his piano. So he decided, albeit with relatively pedantic intentions, to give them a "rather flowery" translation of the Rigoletto quartet. Hilarity ensues. For comparison, here's what happens when they're turned loose on the real thing.